HomeBlogBailey Fights BlightFall Service Days 2018 – Get Involved! Spread the volunteering wealth by printing/sharing our flyer! 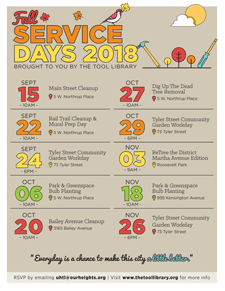 Join the University Heights Tool Library and our community partners for close to a dozen service events across University District this fall! 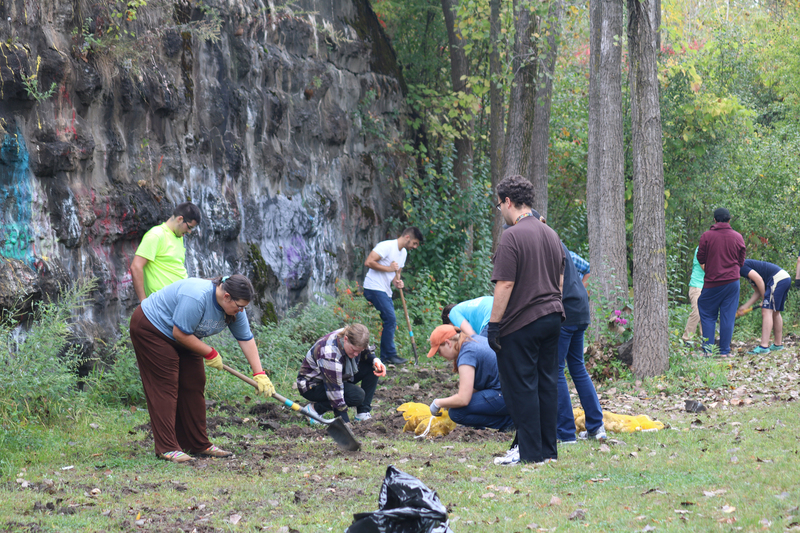 Whether it’s tree planting, garden tending, street cleaning, or some light leaf blowing, there’s a way for you to get involved in your community and make a positive impact! Most events take place on Saturday mornings and last no longer than three hours. Got an idea for a project in your neighborhood? We’ll bring the tools, you bring the people power! Please be sure to check our Facebook and website often, as new events are likely to be added! If you plan to attend an event, either as an individual or with a group, please RSVP by visiting www.thetoollibrary.org/service and signing up or by emailing us at uhtl@ourheights.org.